If you're thinking of starting a grappling martial art such as Brazilian Jiu-Jitsu, you'll need to kit yourself out in the right uniform. In BJJ, the jacket and trouser combo is called a Gi. BJJ Gis, or kimonos as they also known as, are suitable not just for ground fighting in the Gracie founded sport of BJJ, but also Japanese Ju-Jitsu and Judo. The thicker collars of the BJJ Gi make chokes more difficult to perform than thinner gis and can be put under a lot strain without ripping, which is what you should look for when purchasing. 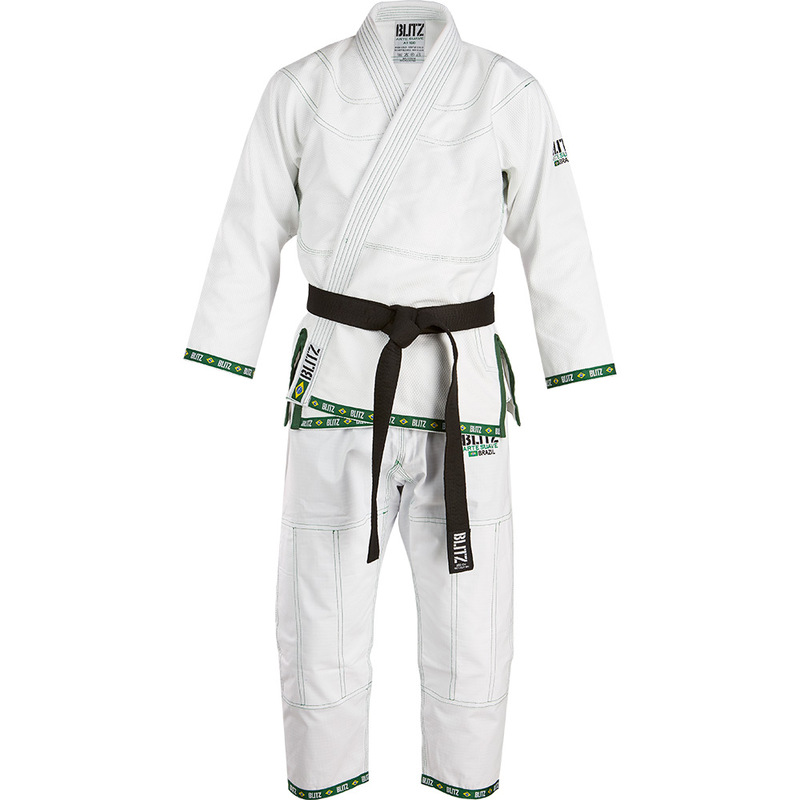 White and blue are the popular colours for Brazilian Jiu-Jitsu practitioners and are usually the only colours allowed to be worn during competitions. However, other colours such as black are available from many brands too, so it is best to check with your instructor what colours are or aren't allowed to be worn at the gym before you purchase. Some manufacturers such as Tatami Fightwear and Valor Fightwear also make Women's Fit BJJ Gi's as well as the standard unisex sizes. Womens fit gis usually conform better to the female form and tend to have a shorter sleeve length. A few martial arts brands, such as Badbreed, produce a rash guard lined gi jacket. These are great for training in, meaning you don't need to wear a rash guard underneath, with the lining wicking away sweat from the skin when training. Brands usually decorate the rash guard lining with an elaborate design though you will see this reflected in the price of the gi. Most gis, however, are not lined, and should you purchase a lined gi, be aware that some competitions like the IBJJF do not allow rash guard lined gi jackets to be worn by competitors.